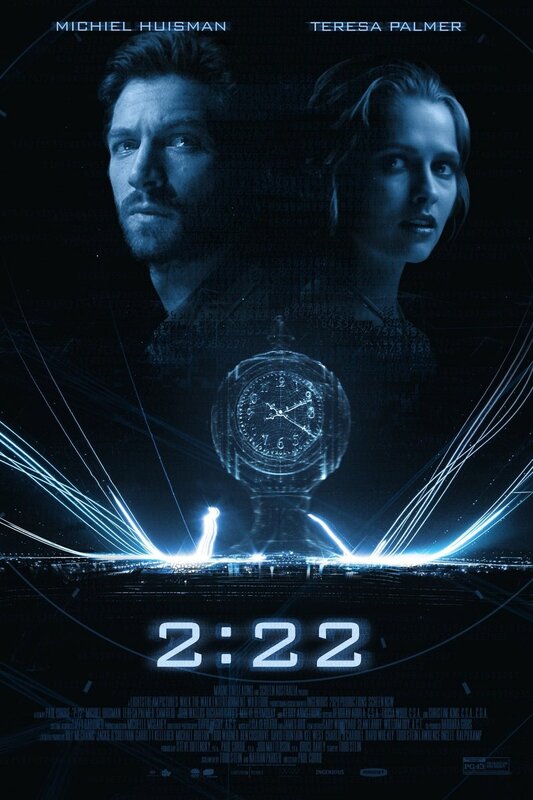 2:22 DVD and Blu-ray release date was set for September 26, 2017 and available on Digital HD from Amazon Video and iTunes on June 30, 2017. When space and time collide in the strangest way, one man finds that life has become infinitely more difficult than he ever could have envisioned. Every day, an odd sequence of events will occur, ending at 2:22. It's up to this one man to determine what is the cause of the strange event. If he doesn't get to the bottom of it quickly, the fabric of the world could collapse on itself. With a romantic attraction and a mysterious double murder in the mix, the stakes have never been more elevated.